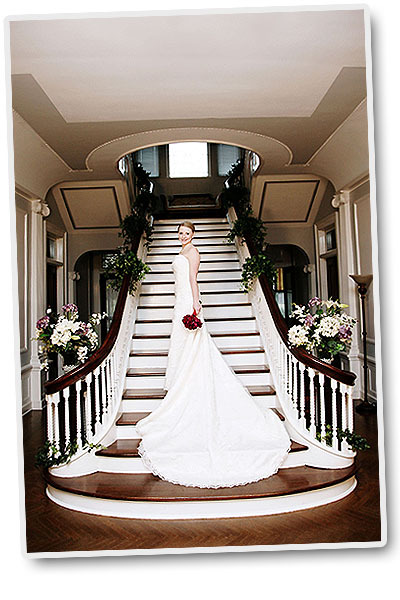 Belmont Estate is the premiere southern wedding venue in the piedmont, near Greensboro, with all-inclusive wedding packages. Belmont Estate is a destination where dreams come true and lifetime memories are created. Whether you stay overnight in one of the stately suites or say your vows under the elegant Greek portico, Belmont Estate offers the perfect setting for your timeless moments. The Belmont Estate offers a full range of services and options such as All-Inclusive Wedding Packages, an outdoor covered pavilion and courtyard, A-1 catering facilities, and a first rate Bed and Breakfast. Think of the Belmont Estate for your total Wedding Event (Wedding Ceremony, Reception, Rehearsal Dinner, Bridal Shower/Luncheon) as well as your Corporate Event. Our trained and experienced staff will assist you in planning the details of your event and ensure that each detail is executed to your FULL SATISFACTION.